This month is all about being a girl and hanging with the girls, its also about pampering yourself a bit too! I colored Paige with Copic Markers and created the card base with Jaded Blossom Dies. Paige is so sweet! 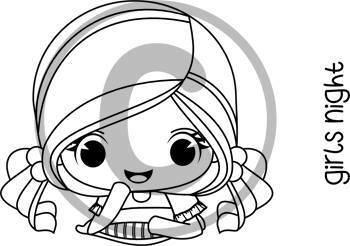 You will want to add her to your stamp collection. So super cute!!! FAB colouring!